Now Available: Lily, Sabre and Thorn, and our 2017-2018 brochures! The first day of Gen Con has gone quite well. Matt says that the numbers bear out what we’ve all felt anecdotally for years: Thursday is our biggest day for sales. While we still have enough supplement material to fill our tables (at least, for now), all our print-on-demand core rulebooks have sold out! 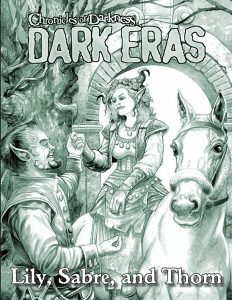 That includes all the copies of Chronicles of Darkness: Dark Eras which we brought with us. 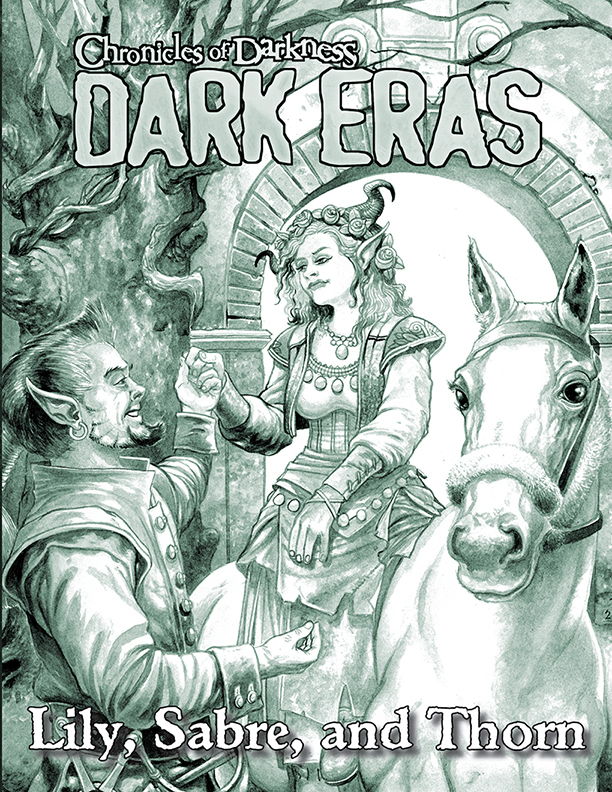 Which segues me nicely into today’s release (or technically yesterday, since it was auto-posted on DriveThru on Wednesday): Dark Eras: Lily, Sabre, and Thorn is now available in PDF and print on DriveThruRPG for Changeling: The Lost! If the intersection of “Changeling: The Lost” and “Three Musketeers” tickles your fancy, this is something you’ll want to pick up. 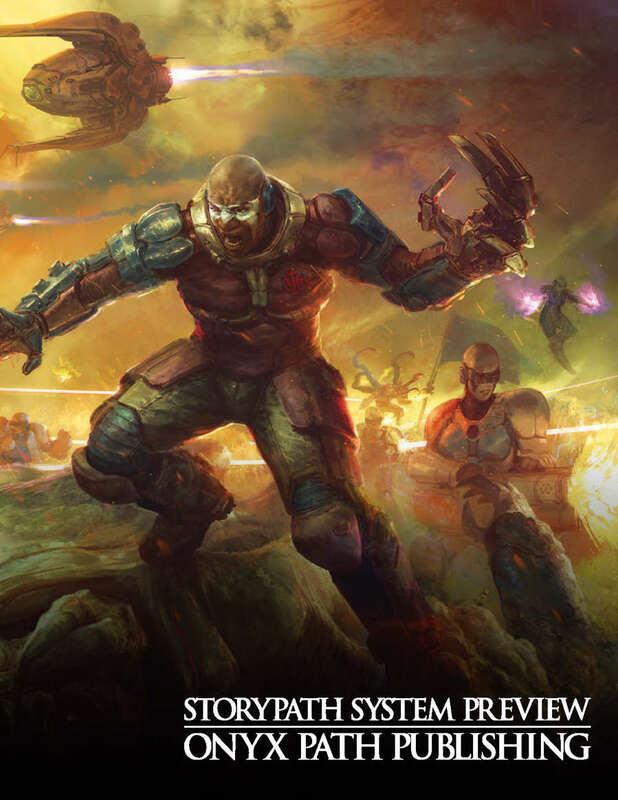 This year’s Storypath System Preview is up. 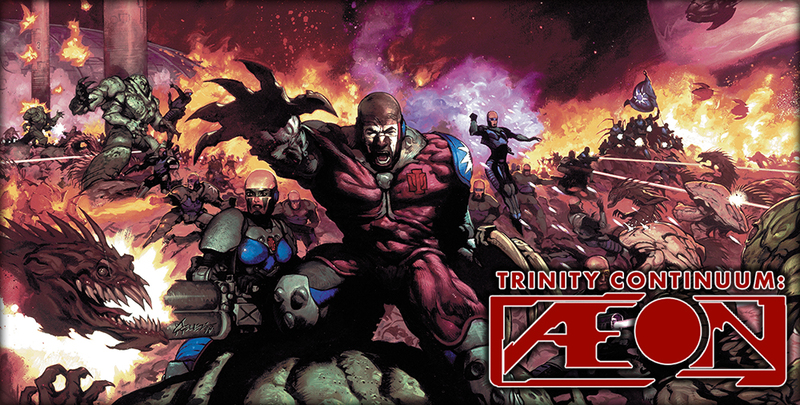 If you read the preview from last year, this is functionally identical, except where the last one was skinned for Scion (with a Scion cover and Scion-based examples of play), this preview is skinned for the Trinity Continuum. I’m really pleased with how the cover turned out, so let me digress for a moment to tell you how it came about. Format-wise we wanted a cover with two teams facing off, so when you fold it in half, you get a distinct front and back cover. That’s what we did with Scion. Team Front is facing left, Team Back is facing right, and when you unfold the cover it looks like they’re attacking each other. 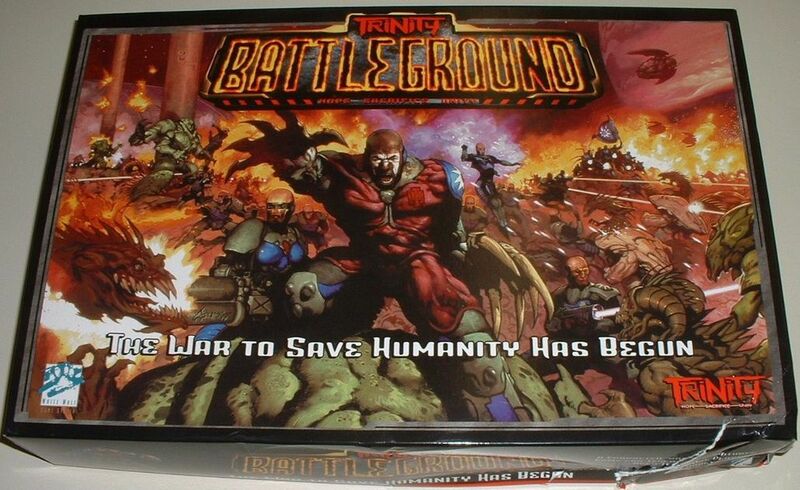 I said “give me the Chris Moeller art from the cover of Trinity: Battleground, except shot from a different camera angle.” That’s exactly what I got: Legionnaires on the front of the cover facing off against the Aberrants on the back of the cover. It’s really a thing of beauty. My thanks to Mike Chaney. And now what you’ve all been waiting for: the Onyx Path 2017/2018 Publishing Brochure. 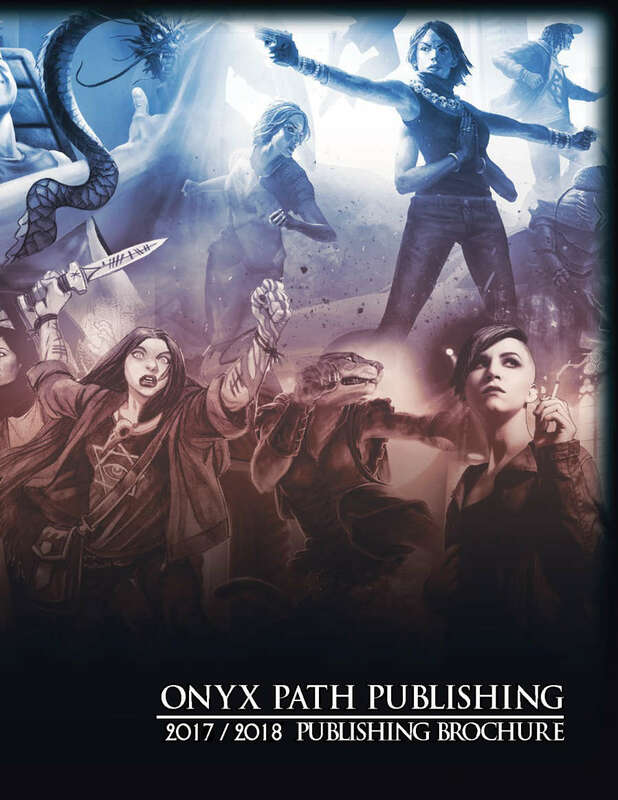 An intro letter from Rich Thomas, founder of Onyx Path Publishing, that describes the Onyx Path look to the future with new games and more. A special catalog list of Onyx Path Publishing projects so far, plus teasers for upcoming games. What are you most looking forward to from our latest brochure? Let us know! What are you most looking forward to from our latest brochure? I was pleased to see The Exigents in the brochure, given that it is not on the current Monday Meeting Notes dev schedule. Very much looking forward to the other Exalted books in production but character-type sourcebooks are irresistible to me.